Justin is an Army OEF veteran. After earning his bachelors with a double major in political science and journalism from Rutgers, the State University of New Jersey, he enlisted as an active duty infantryman in the United States Army in 2012. Throughout his three years serving he deployed to both Afghanistan as well as the Sinai Peninsula in Egypt. 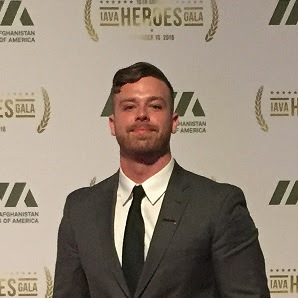 Justin left the Army in 2015 to attend graduate school at the Rutgers, Edward J. Bloustein School of Planning and Public Policy, to earn his Masters in Public Policy and eventually work within the veteran services realm. In his spare time he volunteers at Iraq and Afghanistan Veterans of America and Kindred Hospice, assisting veterans receiving hospice care.